If you're not having fun, you're doing it wrong. 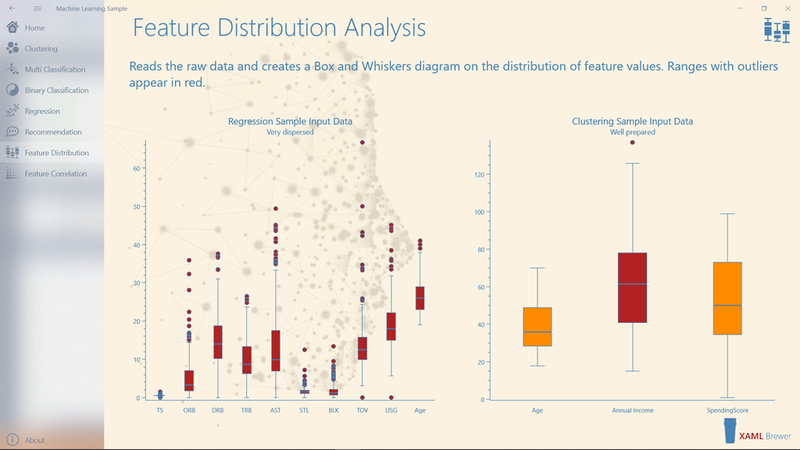 Welcome to the third article in this series on implementing Machine Learning scenarios with Open Source technologies in UWP apps. We were using ML.NET for modeling and OxyPlot for data visualization, and we will continue to do so. For this article we added Math.NET to our shopping basket: to calculate some statistics that are important when analyzing the input data. We will analyze the distribution of values for columns in the candidate model training data to detect whether these columns would be a useful as feature, or whether they need filtering, or whether they should be ignored at all. It’s pretty clear that the trained algorithm is not very useful: it does not look significantly better than a random prediction. 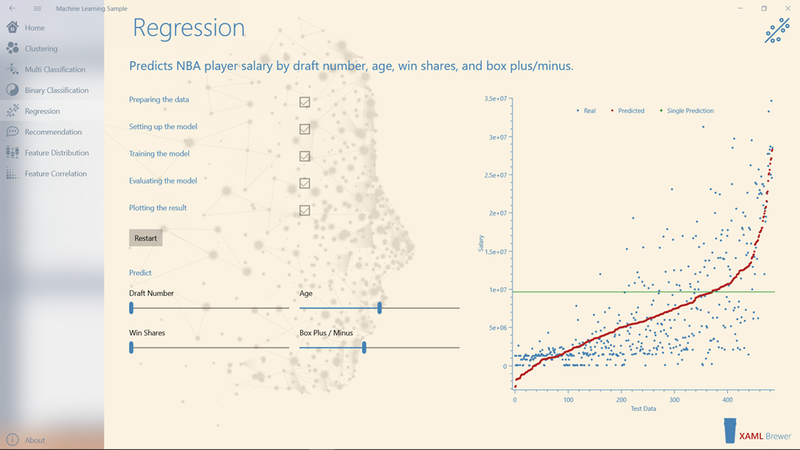 Next to the vertical axis you even see the model predicting negative salaries. This bad performance is partly because we did not do any analysis before just feeding the model with raw data. 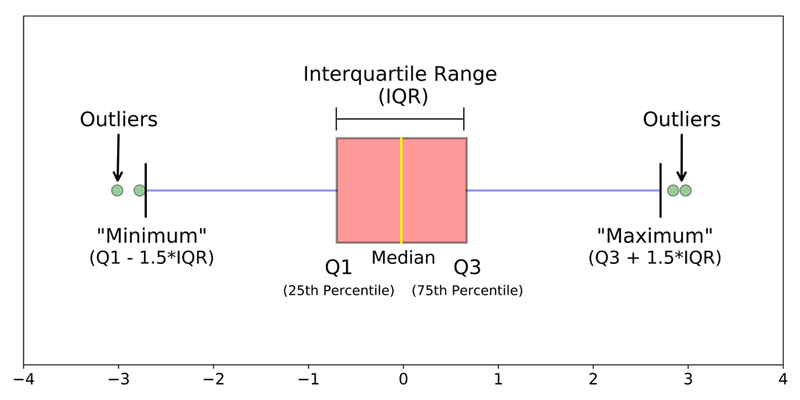 The box plot can tell you about your outliers and what their values are. It can also tell you if your data is symmetrical, how tightly your data is grouped, and if and how your data is skewed. Box plots may reveal whether or not you should use all of the values for training the model, and which algorithm you should prefer (some algorithms assume a symmetrical distribution). Here’s an article with more details on how to interpret box plots. The control’s PlotModel is populated with a BoxPlotSeries that is displayed against a CategoryAxis for the property names and a LinearAxis for the values. Check the previous articles in this blog series on how to do define a model and its axes in XAML and C#. The next step is to provide BoxPlotItem instances for the series, but first we need to calculate these. 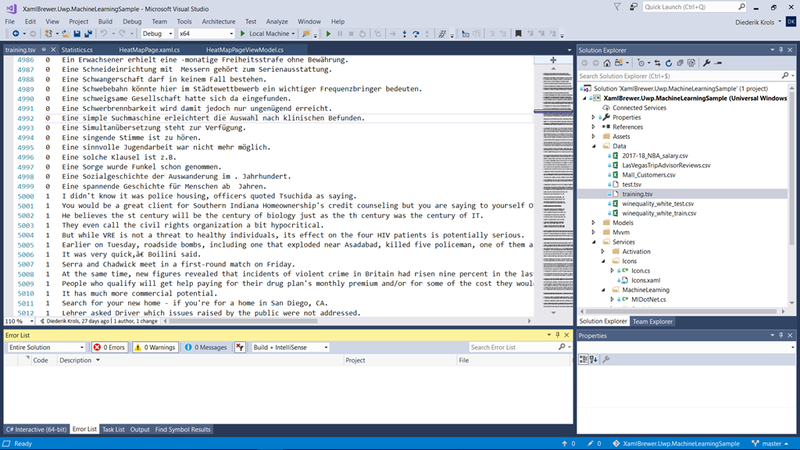 Math.NET is an Open Source C# library covering fundamental mathematics. Its code is distributed over several NuGet packages covering domains such as numerical computing, algebra, signal processing, and geometry. Math.NET Numerics is the package that contains the functions from descriptive statistics that we’re interested in. It targets .NET 4.0 and higher, including Mono and .NET Standard 1.3 and higher. The sample app does not use the NuGet package however. Because the source code is effective and very well structured -what else did you expect from mathematicians- it was easy to identify and grab the source code for the calculations that we wanted, so that’s what we did. The SortedArrayStatistics class contains all the functions we need (Median, Quartiles, Quantiles) and more. The result of the Read() method is an IDataView tabular structure. We can query its Schema to find out column names, and with the GetColumn() extension method we can fetch all values for the specified column. Notice that we switched from float (the low-memory favorite type in ML.NET) to double (the high-precision favorite type in Math.NET). When outliers are identified in the analysis, you may decide to skip these when training the model, using FilterByColumn(). Check this sample code for more details. 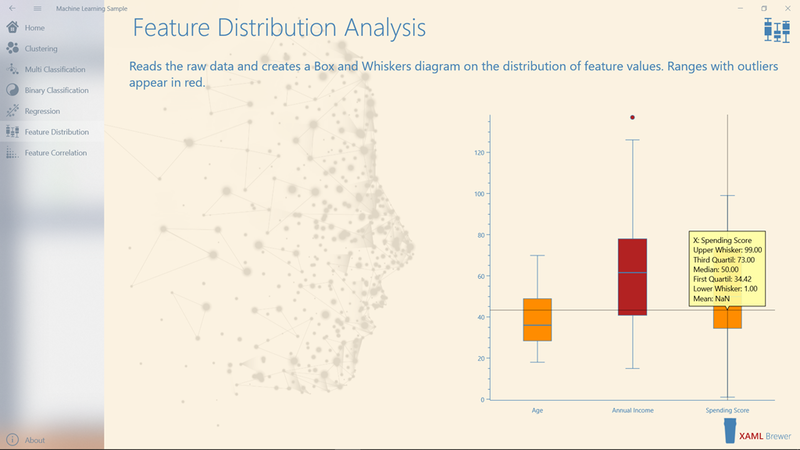 In this article we demonstrated how to build box plot diagrams in UWP, using ML.NET, Math.NET and OxyPlot. 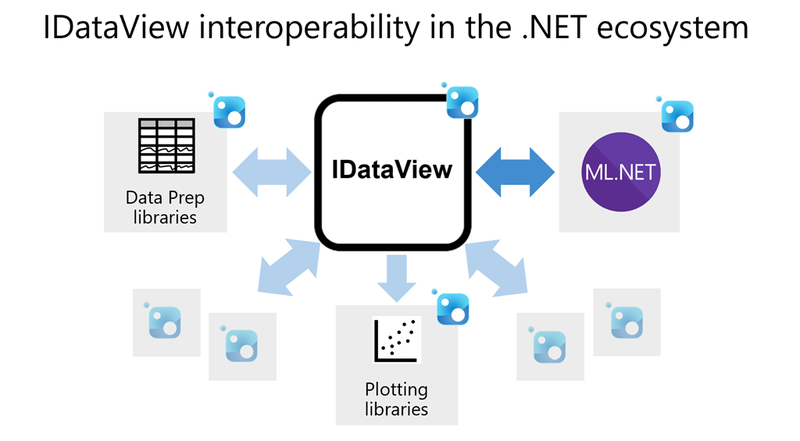 Even when ML.NET is not targeting Feature Analysis, its IDataView API is very helpful in getting the column data. The sample app lives here on GitHub. This entry was posted in Machine Learning, Math.NET, ML.NET, OxyPlot, UWP on February 19, 2019 by xamlbrewer. This is the second in a series of articles on implementing Machine Learning scenarios with ML.NET and OxyPlot in UWP apps. If you’re looking for an introduction to these technologies, please check part one of this series. In this article we will build, train, evaluate, and consume a multiclass classification model to detect the language of a piece of text. All blog posts in this series are based on a single sample app that lives here on GitHub. Classification is a technique from supervised learning to categorize data into a desired number of labeled classes. In binary classification the prediction yields one of two possible outcomes (basically solving ‘true or false’ problems). 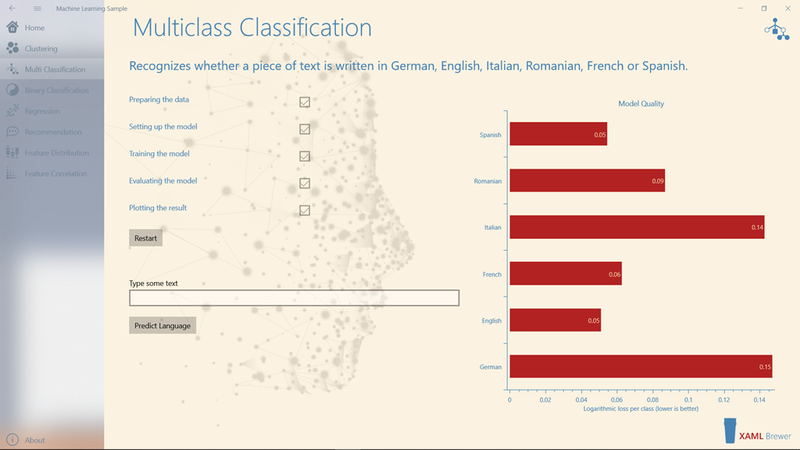 This article however focuses on multiclass classification, where the prediction model has two or more possible outcomes. classification of proteins according to their function. k-Nearest Neighbors learns by example. The model is a so-called lazy one: it just stores the training data, all computation is deferred. At prediction time it looks up the k closest training samples. It’s very effective on small training sets, like in the face recognition on your mobile phone. Naive Bayes is a family of algorithms that use principles from the field of probability theory and statistics. It is popular in text categorization and medical diagnosis. Regression involves fitting a curve to numeric data. When used for classification, the resulting numerical value must be transformed back into a label. Regression algorithms have been used to identify future risks for patients, and to predict voting intent. 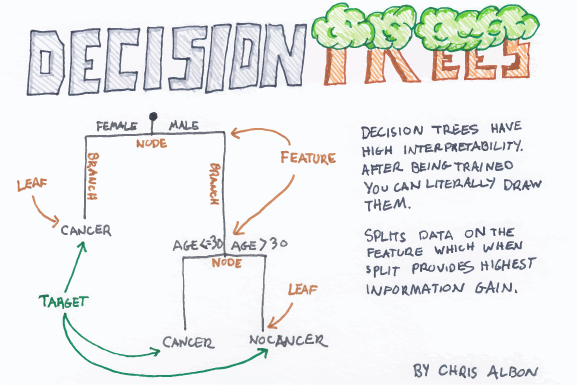 Classification Trees and Forests use flowchart-like structures to make decisions. This family of algorithms is particularly useful when transparency is needed, e.g. in loan approval or fraud detection. A set of Binary Classification algorithms can be made to work together to form a multiclass classifier using a technique called ‘One-versus-All’ (OVA). When we dive into the code, you’ll recognize that same pattern. In this article we’ll build and use a model to detect the language of a piece of text from a set of languages. The model will be trained to recognize English, German, French, Italian, Spanish, and Romanian. The training and evaluation datasets (and a lot of the code) are borrowed from this project by Dirk Bahle. In the previous article, we explained why we’re using v0.6 of the ML.NET API instead of the current one (v0.9). There is some work to be done by different Microsoft teams to adjust the UWP/.NET Core/ML.NET components to one another. always bend your knees not your back when lifting heavy stuff. 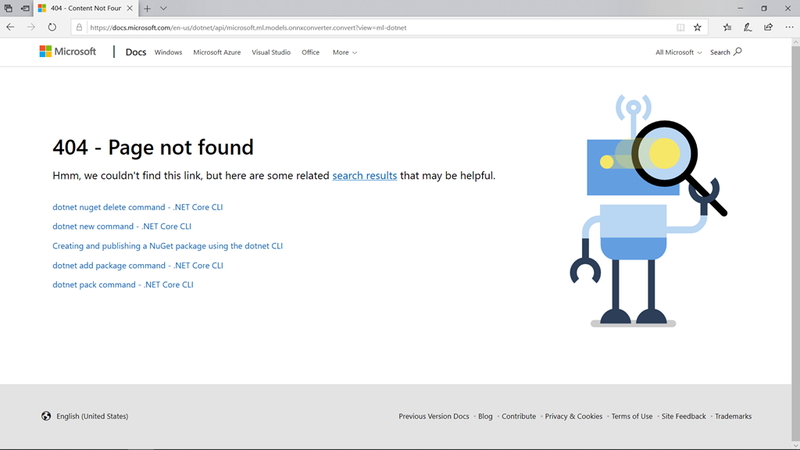 In the last couple of iterations the ML.NET team has been upgrading its API from the original Microsoft internal .NET 1.0 code to one that is on par with other Machine Learning frameworks. The difference is huge! A lot of the v0.6 classes that you encounter in this sample are now living in the Legacy namespace or were even removed from the package. 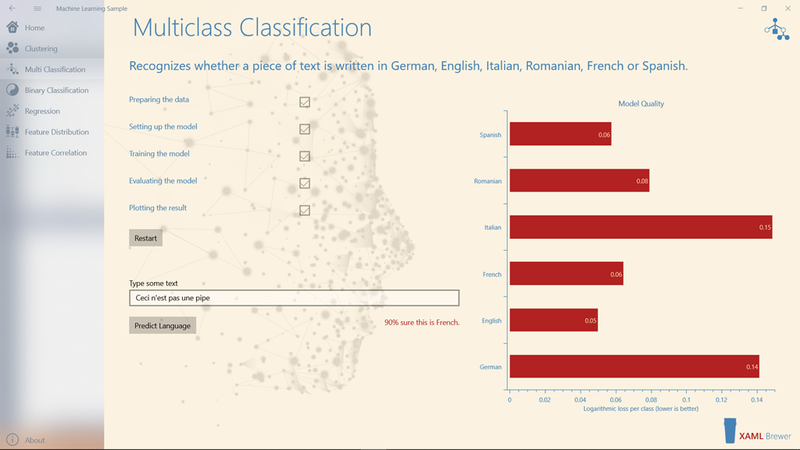 If you want to know multiclass classification looks like in the newest API, then check this official sample. The ML.NET console app can be packaged, deployed and executed as part of your UWP app by including it as a full trust desktop extension. In this configuration the whole solution can even be shipped to the store. // Transform the text into a feature vector. // Convert the predicted value back into a language. In supervised learning you can evaluate a trained model by providing a labeled input test data set and see how the predictions compare against it. This gives you an idea of the accuracy of the model and indicates whether you need to retrain it with other parameters or another algorithm. Observe that some languages are harder to detect than others. We are pretty impressed to see how easy it is to build a reliable detector for 6 languages. The trained model would definitely make sense in a lot of .NET applications that we developed in the last couple of years. We decided to use OxyPlot for visualizing the data in the sample app, because it’s light-weight and it does all the graphs we needed. In the previous article in this series we created all the elements programmatically. So this time we’ll focus on the XAML. Title="Logarithmic loss per class (lower is better)"
The sample app lives here on NuGet. 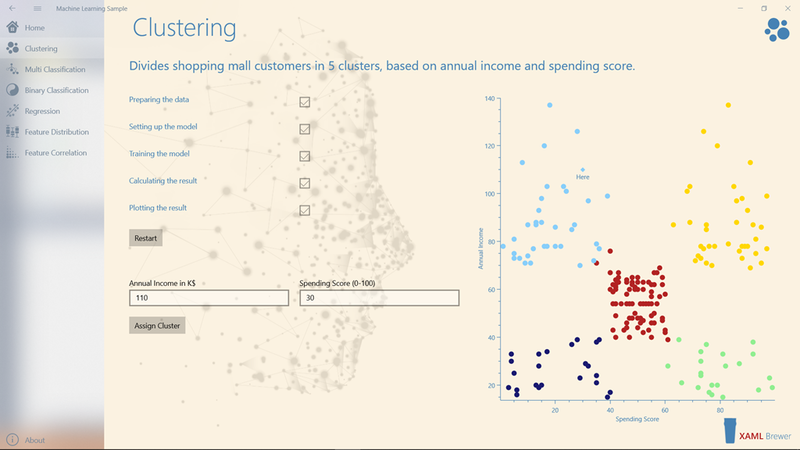 We take the opportunity here to proudly mention that it is featured in the ML.NET Machine Learning Community gallery. This entry was posted in Machine Learning, ML.NET, OxyPlot, UWP on February 4, 2019 by xamlbrewer.